The Reusable Therapy Football Cold Compress was designed to reduce swelling and aid in pain relief. This item is small enough to fit in your pocket and best of all reusable. Perfect for school football teams and clubs. Easy way to promote your team or tournamnet. This item is 7" W * 5" L and weighs, 3.7 oz. and made with soft fabric. The pad is filled with a unique non-toxic gel, reusable and remains flexible even when cold. 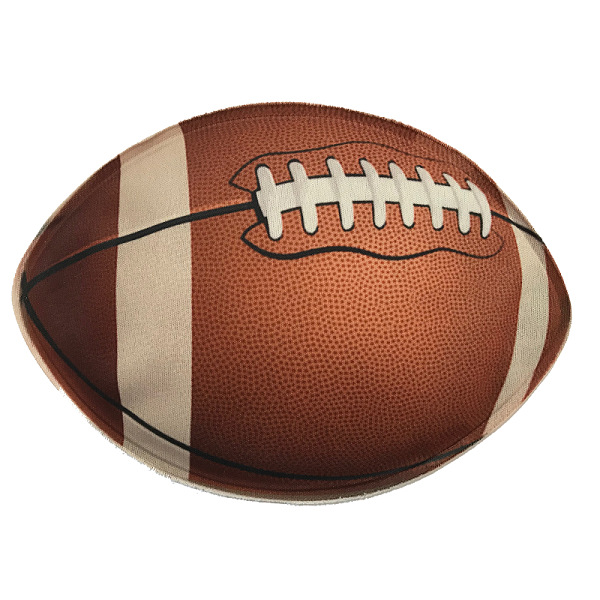 The football comes with shown image. Custom Images are available.